A new WWF report ranks Europe’s worst climate-polluting power stations. Brussels, Belgium / Gland, Switzerland – A new ranking of Europe’s worst climate-polluting power stations reveals the least efficient power stations in Europe with the biggest emissions of carbon dioxide. The WWF ranking — the Dirty Thirty — lists Greece’s Agios Dimitrios and Kardia (owned by DEH) as the dirtiest power stations, followed by Niederaußem in Germany (owned by RWE). 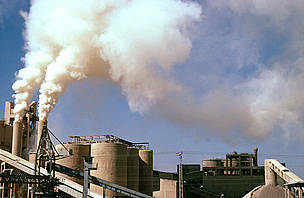 In 2006 the “Dirty Thirty” were responsible for 393 million tonnes of CO2, which is equal to 10 per cent of all EU CO2 emissions. Europe’s dirtiest power stations are all coal-fired, with the worst ten running on particularly CO2-intense lignite. As CO2 emissions are considered the main cause for global warming and devastating climate impacts, it is essential to have a stronger EU Emissions Trading Scheme that delivers significant emissions reductions by encouraging investment in cleaner and more efficient plants. “The facts are clear. The power sector needs to phase out dirty coal as soon as possible,” says Stephan Singer, Head of WWF’s European Climate and Energy Unit. The WWF ranking results from the analysis of 2006’s data included in the European Emissions Registry, managed by the European Commission. The global conservation organization looked at the absolute CO2 emissions of power stations in EU countries (million tonnes of CO2 per year) and ranked the 30 biggest emitters according to their level of efficiency (grams of CO2 per Kilowatt hour). Most of the “Dirty Thirty” are located in Germany and the UK (10 plants each), followed by Poland (4 plants). Just four companies account for most of Europe’s dirtiest power stations. More than half of the 30 plants analysed are run by RWE (Germany), Vattenfall (Sweden), EDF (France) and EON (Germany). RWE and Vattenfall are also the EU’s largest corporate climate polluters. WWF points out that the over-exploitation of fossil fuels - such as coal, gas and oil - is putting the whole of humanity under threat from climate change.